There so far appears to be a significant shortage of images for this event and we would appeal to anyone who is able to provide photos of the bikes, riders, course or organisation to get in contact. 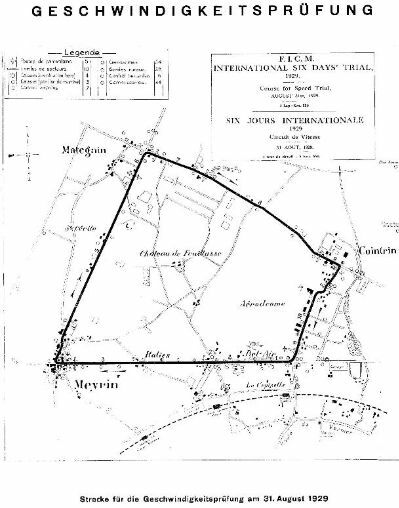 I am grateful for the help in locating and providing these documents by the Dutch Motorcycling Historian & Author Jan Melssen who has now sadly passed away. 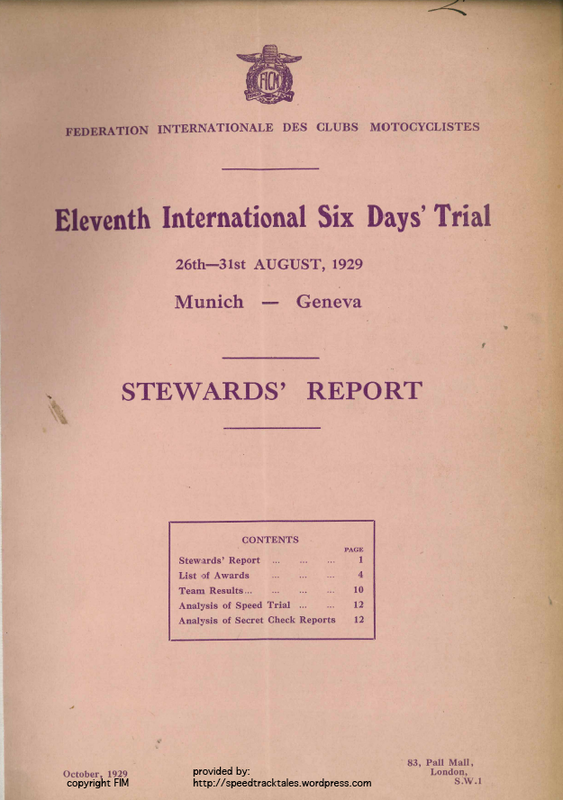 In addition the FIM have been generous in providing a scanned copy of the Stewards Report for this event. 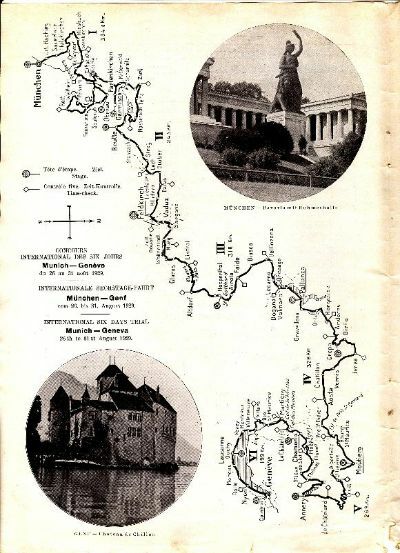 We will be looking more closely on the route the event took acros the Alpine region of Europe in this article examining the known route details hoping to recreate a map. 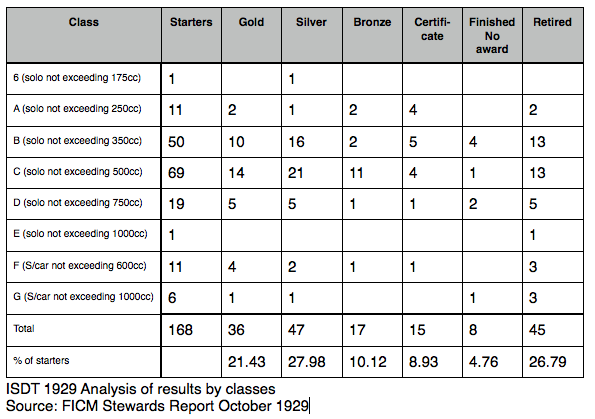 “Rudge machines won outright the 500cc and 750cc class and six gold medals in the recent International Six Days’ Trial. 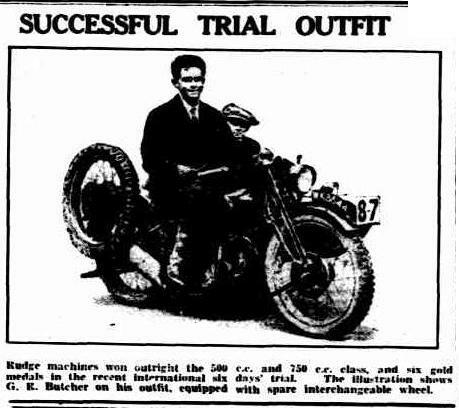 The illustration shows GE Butcher on his outfit equipped with an interchangeable wheel.” #87 in 1929 was not Butcher who rode on plate #105 where he was clean on penalties and won a gold medal. The following image was found on the excellent http://www.austinharris.co.uk website which is a man’s dedication to maintaining the history of historic motorsports using the amazing photo archive at Haymarket. Original prints of these images can be obtained from that site by following this link. 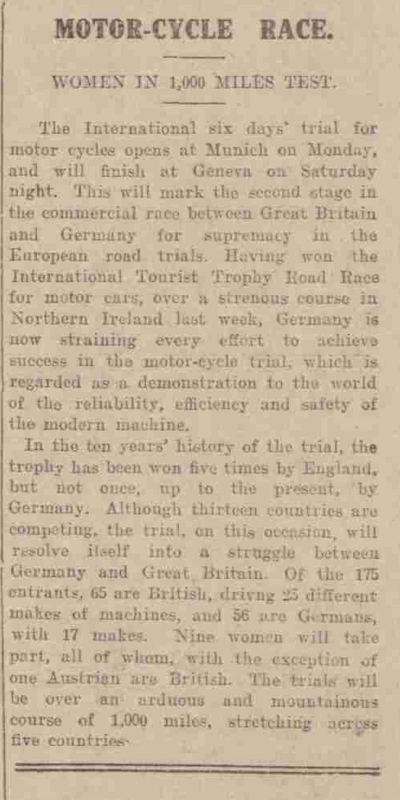 We have been able to find the following reports of the event from the newspaper archive at the British Library. Hello – My grandfather was George William Hole. 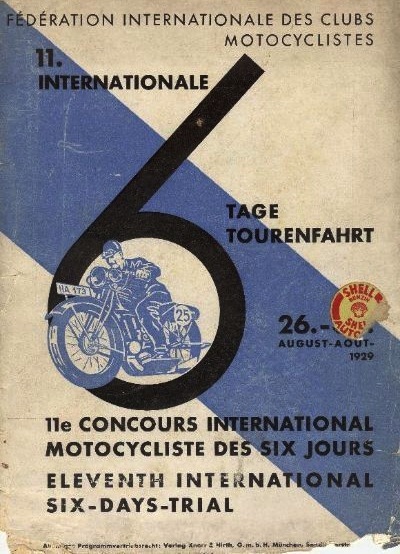 He competed in the International six days trial in Germany in 1929. I have a photo of him, a lady and another gentleman as part of the Raleigh Team. I am happy to share if you are able to get in touch with me? Am also interested to find out any more information regarding my Grandfather – thank you. Thank you for finding us and getting in contact. I will be in touch by email about your photos.